The Net is a group of independent and most exclusive travel designers based around the Globe, whose owners share a passion for the travel industry and have built great reputations. Their approach to designing itineraries for clients reflects this passion. Each one is hand selected. The extraordinary knowledge as well as the active exchange among the members is one of the key benefits. The wide variety of members allows a unique viewpoint and contribution from its own territory and culture. Using its collective strength, The Net negotiates contract rates and value-added benefits with hotel properties on behalf of its members and meets roughly twice a year to share marketing, technology and destination intelligence. The Net is non-competitive and works hard to create a mutually supportive and stimulating environment for its members. It is administered from Frankfurt by the Net’s founder, C&M Travel Design. Atlas Reizen is an upmarket travel designer in Belgium. Our family owned company was founded in 1980. We realize individual travels for the discerning traveler. Although we are convinced of the qualities of the famous hotel chains and recognize the beauty of many ‘must sees’ at numerous exciting destinations, we try to look beyond the obvious. We prefer the ‘tailor-made’ approach, which is why we consciously don’t opt for the ‘cheapest deal’. We are constantly searching for authentic accommodations without losing sight of comfort and an impeccable service. We have a preference for original, small and historic hotels and campsites, and select our local partners, cruises, guides and activities based on our own passion and experience. In a world of multiple stresses, the ability to escape, to slow down and live in the moment has become the greatest luxury. Therefore, we work out unique trips together with reliable partners to offer our clients an original, privileged and highly personnel experience in destinations we are excited about. Great accommodation is just a start – the experiences in between the hotels are our real added value. Art Travel is our specialized department, offering art and culture trips for individuals or smaller groups. Art Travel combines luxury travel with expert knowledge from architects, gallerists, curators, authors and artists during visits of private collections, museums, iconic buildings or artist studios. Atlas Reizen recently launched it’s own incoming DMC department. We are proud to take foreign visitors around in the Benelux, offering unique insights beyond the obvious. 80days is an exclusive and independent travel agency based in Denmark. We offer bespoke luxury travels to a hand-picked selection of destinations worldwide since 2009. The team is composed of black belted travel designers and international networkers with more than 25 years’ experience in the field. We know where it’s hot and we want to share our passion. Central for 80days is the aim to go back to the old virtues with personal and professional service, prime relationships with our trusted partners and ample time for ‚attention to client‘. While our service might be old school, we work hard to stay updated on the latest news and trends in the industry. Our mission is to create the perfect holiday for discerned travellers in close collaboration with our partners. 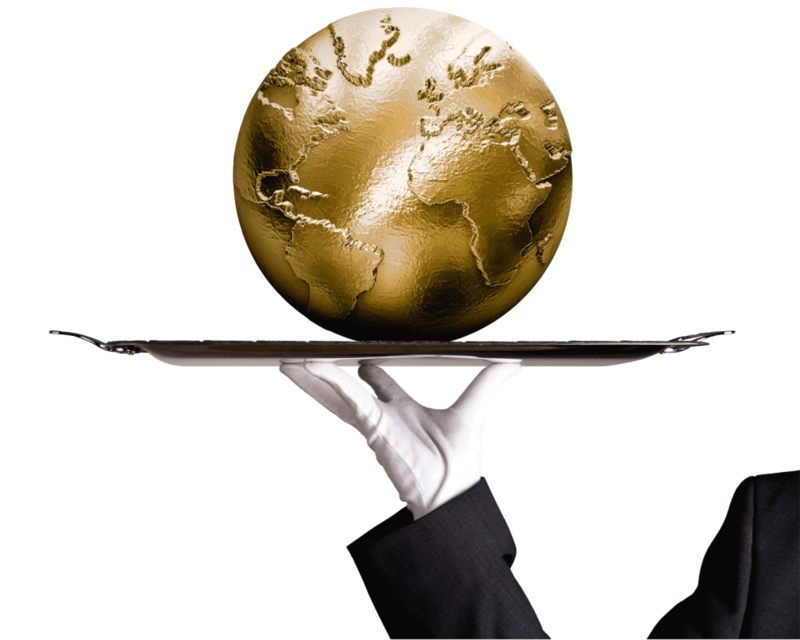 Our main products are long haul and luxury packages, individually created for each customer. Agency was founded in 1984 by Ms Heli Rajamäki, the current owner. Helin Matkat currently has two offices, one in Helsinki and one in Jyväskylä. From the start Helin Matkat has built its success on the personnel’s skills and superb customer service. Helin Matkat dream consultants are all experienced and well travelled, and use their knowledge for the benefit of the customer.We send our clients to destinations all over the world. Our biggest markets include islands on the Indian Ocean, United States, Pacific and Asian countries. For co-operation, please contact Managing Director Lea Simpanen. Tselana Travel, meaning “the pathway” in the Tswana dialect of Botswana, was created more than ten years ago by Marie-Louise Moineau as she was living in Johannesburg. She adored the open spaces and wildlife of Southern Africa and vowed to share them. They now cover the World, from St Barths to Zimbabwe, Myanmar to Japan, Fidji to Canada. From breathtaking landscape, cultural heritage, pristine beaches and City beak Tselana build and design individual dreams and escapes.Tselana do work with partners on a very long term base and is now recognised by its pairs as one of the best confidential high end Travel Designer. C&M Travel Design is a team of widely-traveled specialists. A private travel agency that has been advising discerning globetrotters on the planning of their shorter or grander travels since 1992. We love details, look at both the forefront and behind the scenes, and travel regularly around the globe in search of new trends.We translate VIP to mean the “Very Important Private time” of our customers. And that is very important to us.Over many years, we have formed a world-wide network and are in close dialog with our hotel managers. They appreciate this, and for our guests, they translate VIP as “Very Important Person”… a good idea! Aspera Explorations creates journeys of discovery in extraordinary surroundings. Based in Moscow from 2001 we specialize in off-the beaten track destinations for epicurean clients. Our travel designers love to explore and are constantly updating themselves on old favorites and new destinations in order to share the best and the latest with our loyal clientele. Atlàntida Viatges is one of Barcelona’s main travel designers. Founded back in 2002, we own four shops in the city and its outskirts, and do currently operate our own leisure, corporate and events divisions, as well as Southern Cross, arguably Spain’s best established upmarket tour operator. With over 70 colleagues nowadays in the company, we organize bespoke journeys for individual travelers and groups to worldwide destinations. Tailor-made trips and ad-hoc travel proposals are the core of our day-to-day business, and we do intensely cooperate with both international luxury suppliers and small local companies that thrive to offer our guests all those experiences they are looking for. We are one of only a few Four Seasons Preferred Partners in Spain, as well as members of Orient-Express’ Bellini Club. Language is still a barrier for many of our guests, therefore we tend to look for incoming agents who cater specifically to the Spanish speaking market, which can still be challenging in many destinations around the world. Despite being just over a decade old, we are especially proud to have quite a number of repeat clients who’ve been relying on us since our very beginning, and to whom we try to extend the best of us: a part of our heart and soul is included in each of their journeys. With our compliments! Travel Beyond provides a unique luxury travel service to the world’s sought after and exotic destinations. We started Travel Beyond in 2005, since then we have grown to become one of Sweden’s leading premium travel companies. As part of the Unlimited Travel Group, and with an established presence in Sweden, we have a strong and growing position on the affluent Nordic market.Just as with our clients, we work closely with our partner suppliers to develop genuine relationships over the long-term. We look for a level of personal engagement unrivalled in the sector. When you work with us, you begin a long-lasting cooperation.